The 2018 NYOS Jazz Summer School started with one of the best icebreakers we’ve ever had. Guest Artist, Jason Singh held a workshop designed to take our young musicians out of their comfort zones, but in the most inclusive and relaxed way. He had everyone grooving and moving to his beat, while encouraging them to use their own voices to make a whole range of sounds. This was beat boxing, but not as they knew it. He ended the session by challenging Principal Conductor, Andrew Bain to a ‘drum off’, which was a sight and sound to behold – as it was later on the tour, when he and Jazz Orchestra drummer Kenny Lyons did the very same, mid-performance. 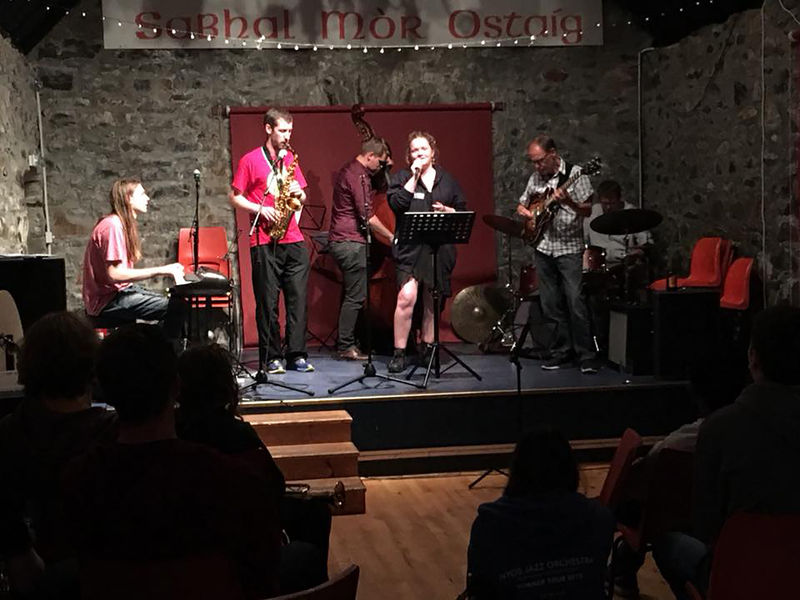 For the following few days, Sabhal Mór Ostaig on the Isle of Skye was a hive of music making activity, from early morning rhythm workshops to the late-night jazz clubs. Highlights included the transformation of one young, shy trombonist from bit part player into a bold, improvising soloist thanks to the careful guidance and encouragement of our wonderful trombone tutor Rick Taylor. 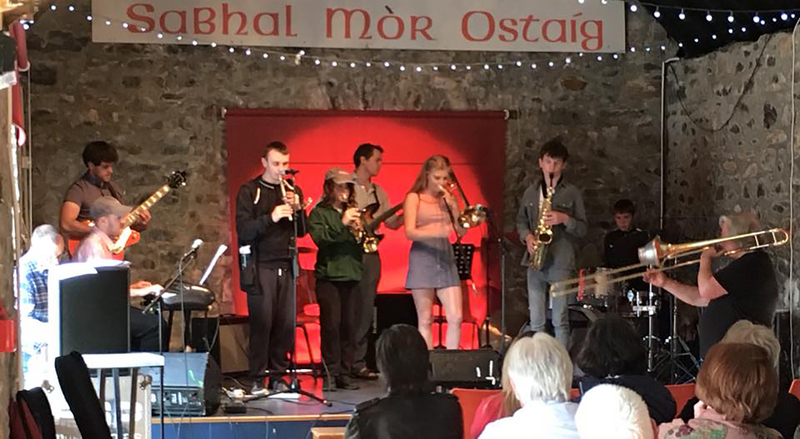 Other highlights included listening to the Jazz Ambassadors being put through their paces by Iain Ballamy and the 12-year-old trumpet player who pulled together a band-of-all-ages to play in the jam session. The tour began with Rush Hour Jazz, at our spiritual home on the Isle of Skye at Sabhal Mór Ostaig. A chance for our slightly less experienced players to strut their stuff in front of an always appreciative audience. The Jazz Orchestra followed and delivered the first of three outstanding performances. 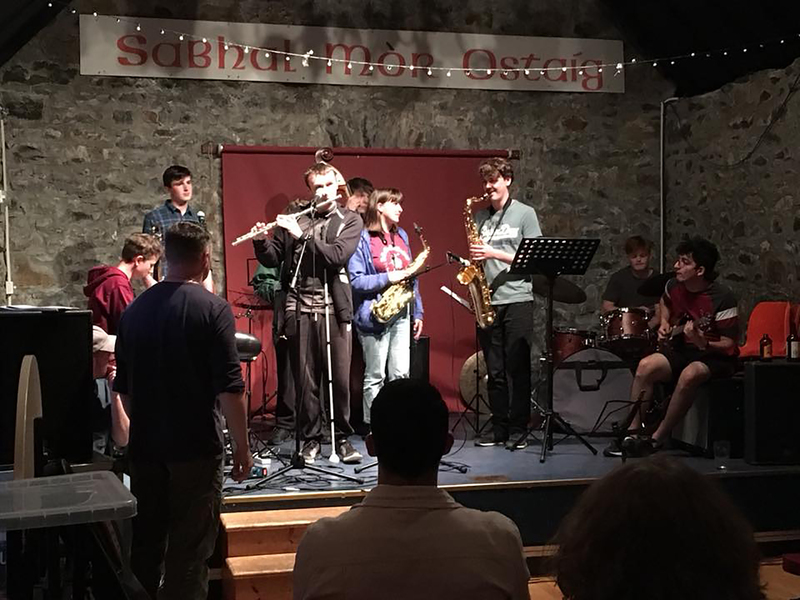 The first stop on the tour was new to everyone connected with NYOS Jazz, the Ironworks Venue in Inverness. Everyone loved it there, from the warm welcome, to the cabaret style set up and the professional crew that made everything look and sound just right. Next stop Aberdeen, and to the more familiar surrounds of the wonderful Lemon Tree. 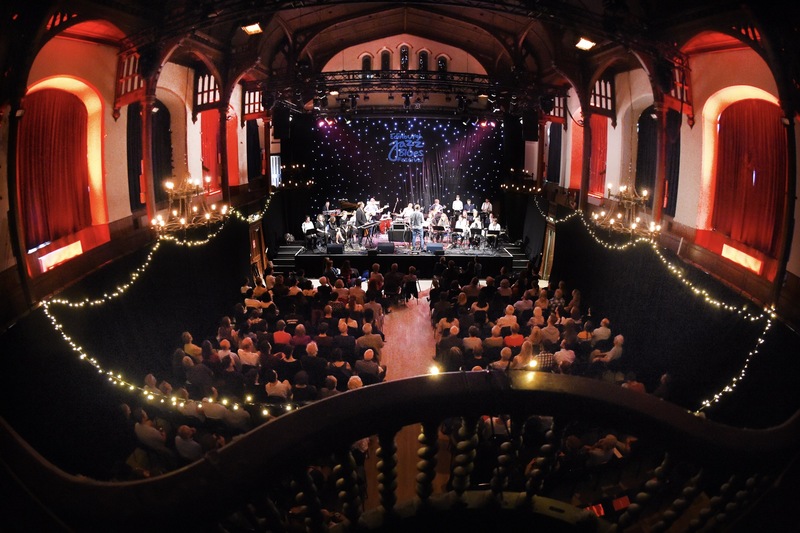 Our final stop on tour was by far the most prestigious as NYOS Jazz Orchestra returned to the Edinburgh Jazz and Blues Festival for the second year running. 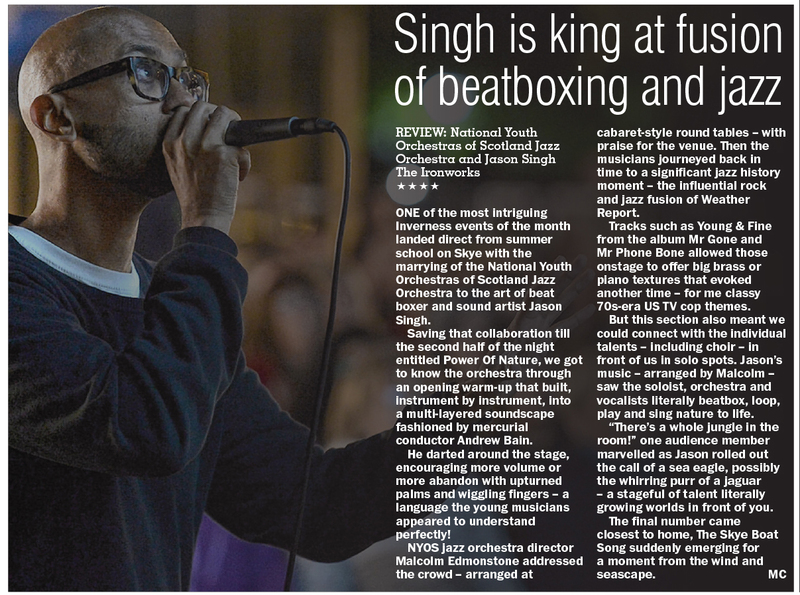 This year the festival rolled out an all-new hub venue in the shape of Teviot Hall where Jason Singh and the Jazz Orchestra blew the socks off a capacity crowd with a tighter, hour-long version of the full set, starting as before with the sublime grooves of Weather Report. Jason then entered the fray and the entire audience were transported to another world, a forest on another planet, the Serengeti and then snap, back to Edinburgh with some funky beats and silky solos. All of which was lovingly brought together by our master arranger-in-chief, the magician that is Malcolm Edmonstone. What a finale!